The original US Mountain Dew is my favourite drink ever so obviously it’ll get full marks for taste and originality! This can was purchased in a store called Americandy in Cardiff who specialise in imported American produce. 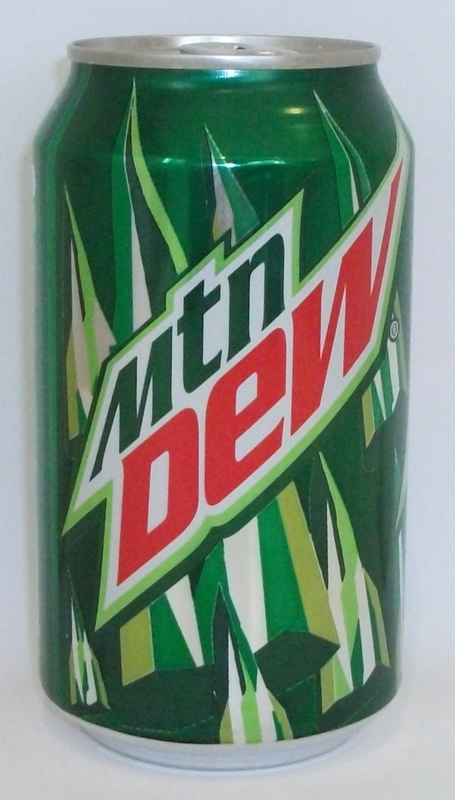 It’s sadly not widely available in the UK with the inferior Mountain Dew Energy being the flavour touted over here. Jammed full of high fructose corn syrup and concentrated orange juice, this proper Mountain Dew is possibly the best thing in the world ever apart from chocolate. The taste is slightly of citrus but not sharp in any way at all and the colour is the trademark fluorescent yellow. It doesn’t have a huge caffeine hit but that’s not what this drink is all about. It’s full of sugar, a bit of caffeine, but mainly it is nice and refreshing especially on a hot day.